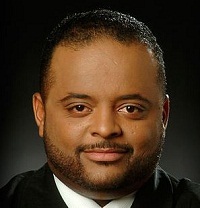 Roland Martin talks to New York Justice League member, Tamika Mallory about the conservative Republicans that have labeled the #BlackLivesMatter group as a hate group. “It’s impossible to shut the movement down because there are so any different organizations that make #BlackLivesMatter move. Folks are realizing that this movement is not going to end and it’s really getting under the skin of racist folks. I’ve listened to heads of police groups say the most hateful things after the murder of unarmed black men,” Mallory said. Power of your your unity define you. Nubian people you are wasting your time trying to reason with the brain dead and rigid racist cave n! @@ers in the republican party and through out this country. These neanderthal apes should have never been let out of the caves of Europe. But yet no word on the KKK who have been the most racist group in American history. Ever notice you only hear from these haters when it suits them. When BAW posts on positive news you never hear from them. Wonder why??? Peace. The “play audio” opened a new tab to a blank screen. Tried it 5 times. Recommendations? This is nothing new. Right wing and conservative opposition to minority movements has been going on since the beginning of the civil rights movement. This latest attack in trying to connect the black lives matter movement to the policeman getting killed has simply become the easiest way for them to garner support. When you hear people rail against this movement just remember they are repeating the same hateful rhetoric that their predecessors did back in the 60’s. Except they are worse because this is 2015 and they still cannot get over it. Case in point,The black panther party, the weathermen, the Yippies ( youth international party) all faced extreme opposition by the government for simply calling out Jim Crow. Before Fox news, before Rush Limbaugh, before the Tea Party there was the F.B.I. which was complicit in racist activity almost as much as the hate groups themselves. MLK was wiretapped by J. Edgar Hoover, ( when Hoover wasn’t tapping his boyfriend) in fact J. Edgar was literally responsible for infiltrating most of these movements, including having his men [present during the assassination of Malcom X. So this is nothing new, this is history. Remember the first radical movement in this country was the Boston Tea Party. This isn’t in defense of or in favor of the black lives matter movement. This is simply the facts. The only difference is that America was supposed to be past this, and we have found out that it isn’t Any time someone stands up like they are, there is going to be fierce opposition. It simply comes with the territory. I think they know this. Martin felt it, Malcolm felt it, they all felt it, anyone who stands up will feel it. And if one of you stands up, you will probably feel it too. That is the most ludicrous thing I’ve ever heard. This movement must push on – haters will hate cause that is what they do in the name of “conservatism”………ridiculous. Keep on keeping on with the “Black Lives Matter Movement,” because the real hate groups such as the kkkowards, Neo Nazis, Skin Heads, and many others are still in existence after decades of murdering black people by the Thousands to this day including racist police officers (police brutality)!